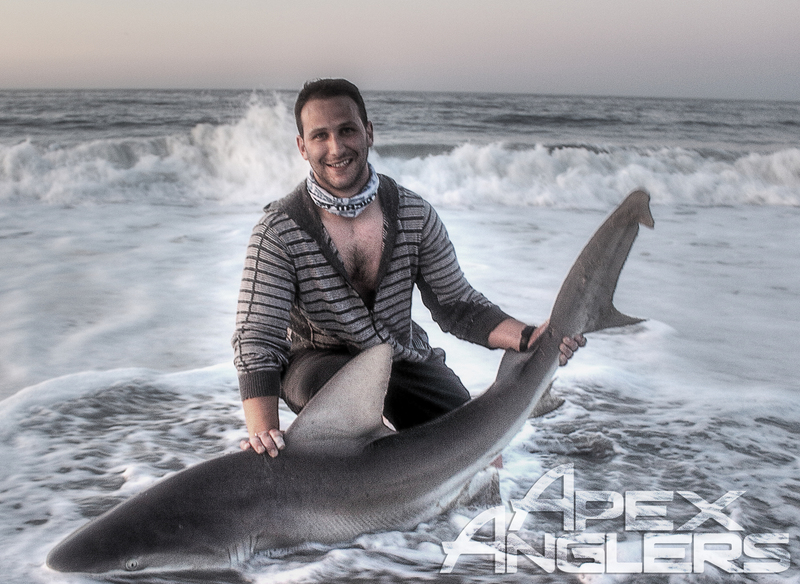 Jersey Shark Insanity – Season Opener Brings Monster Sharks! 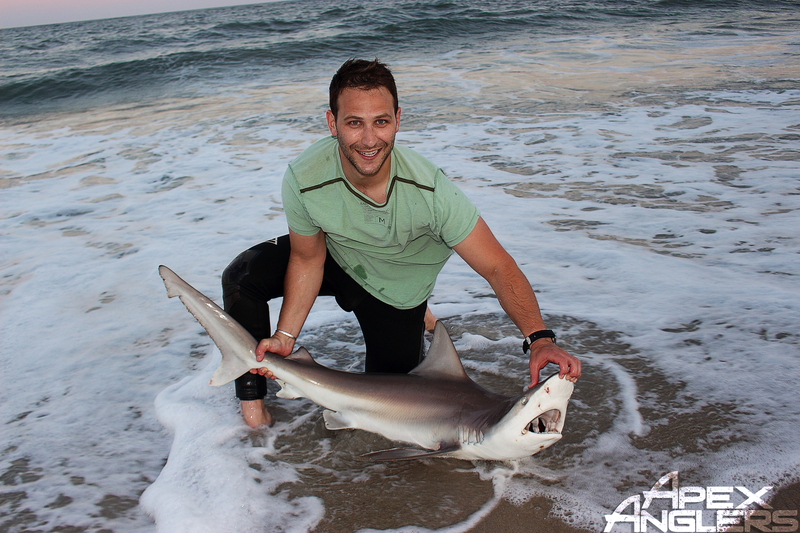 Home → Fishing → Jersey Shark Insanity – Season Opener Brings Monster Sharks! 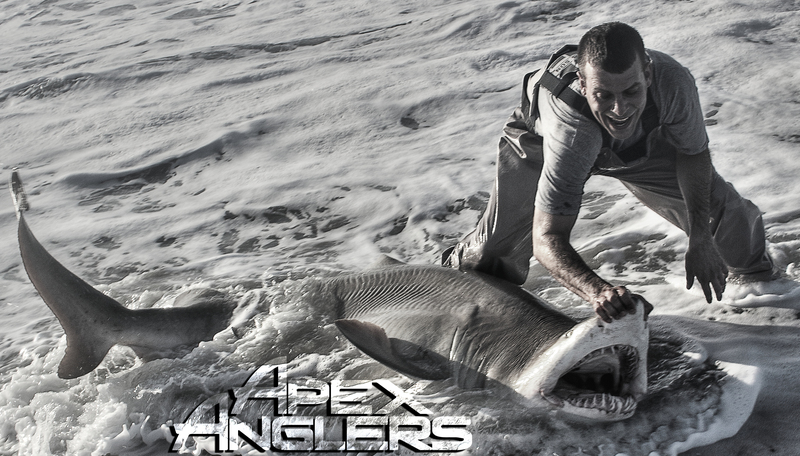 It’s that time again, Apex Anglers has returned to our home turf just in time for the Sandbar and Sand Tiger invasion. Let’s just say the 2016 season has not only begun, but has EXPLODED. Last night, I met up with some fellow sharkers, JT Husid, and Andrew DiMatteo as we shook off the Jersey cobwebs and headed out in pursuit of some toothy beasts. Fast forward ten minutes into the season opener, and JT is on! The ice is broken with our smallest of the trip, a four foot Sandbar. A few minutes pass and I’m quickly hooked up next, but the fish was small and dropped the bait. Already ecstatic about breaking the ice, we remain optimistic. Come nightfall, I’m on again! Now we’re talking, this is a better fish. 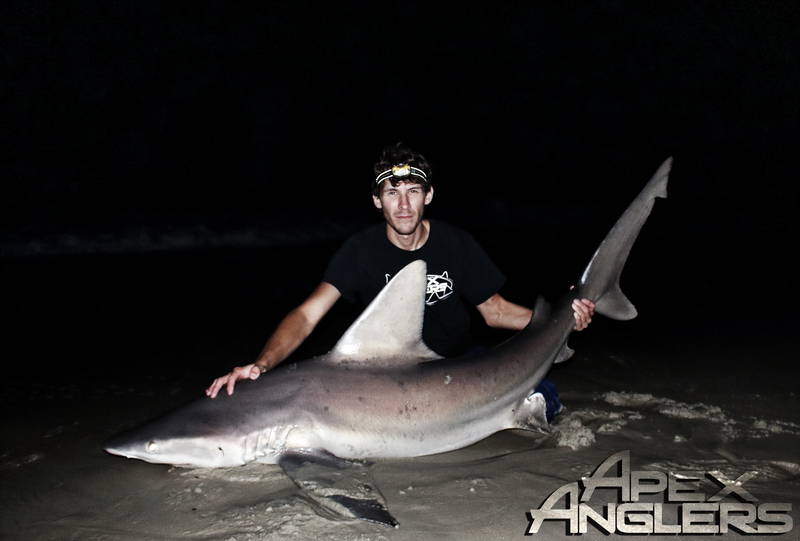 After a respectable battle, we have a 78″ Sandbar with a MASSIVE dorsal on the sand! 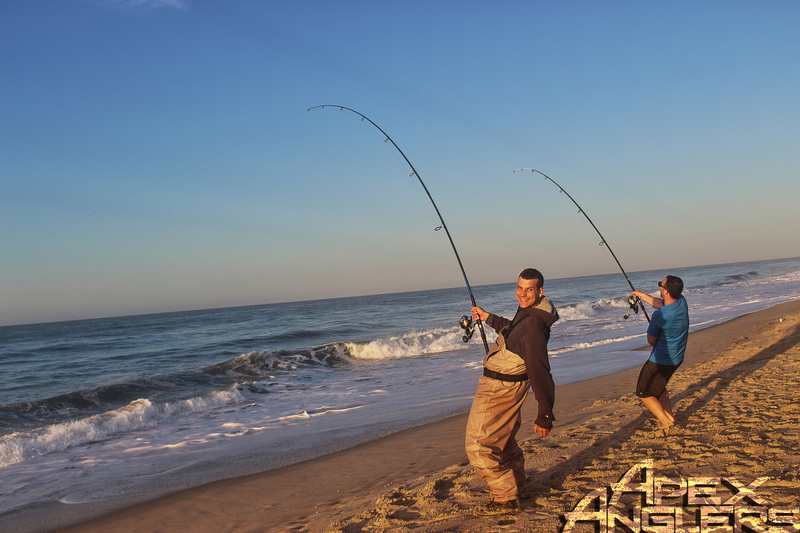 The action remained consistent, we dropped three sharks in a row before Andrew woke up to his baitrunner being dumped to almost half spool before setting the hook and beginning his battle with a nice shark. Another nice Sandbar, about five and a half feet. Andrew and I were going back and forth on runs, and now it was my turn again. 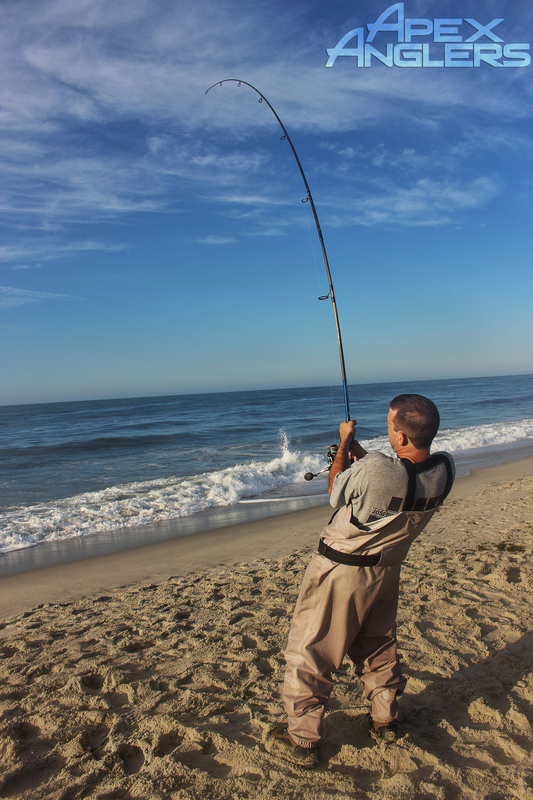 This was the biggest fish we’ve hooked so far, and had the signature head shakes of a big mean Sand Tiger. 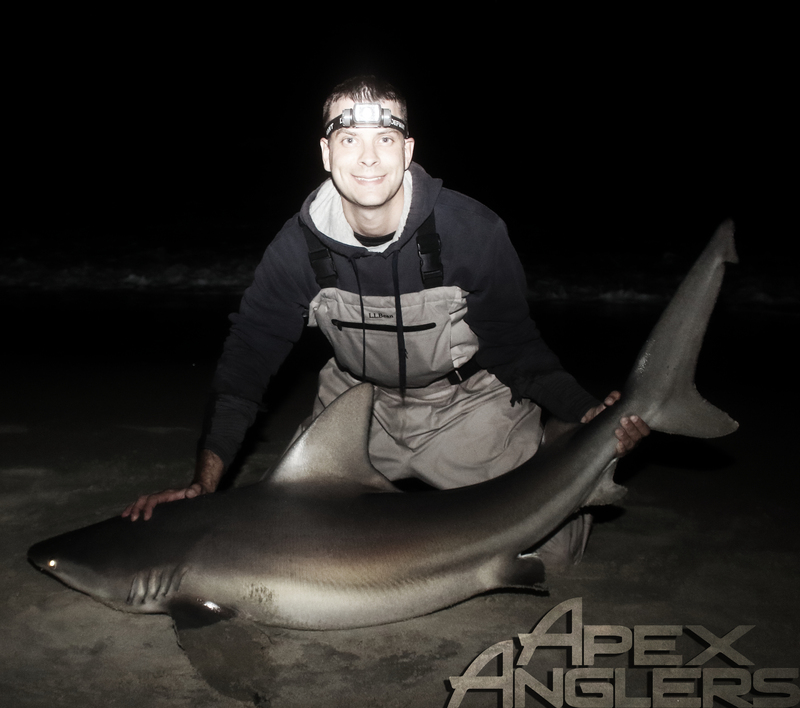 And there she is, our first Sand Tiger of the season! 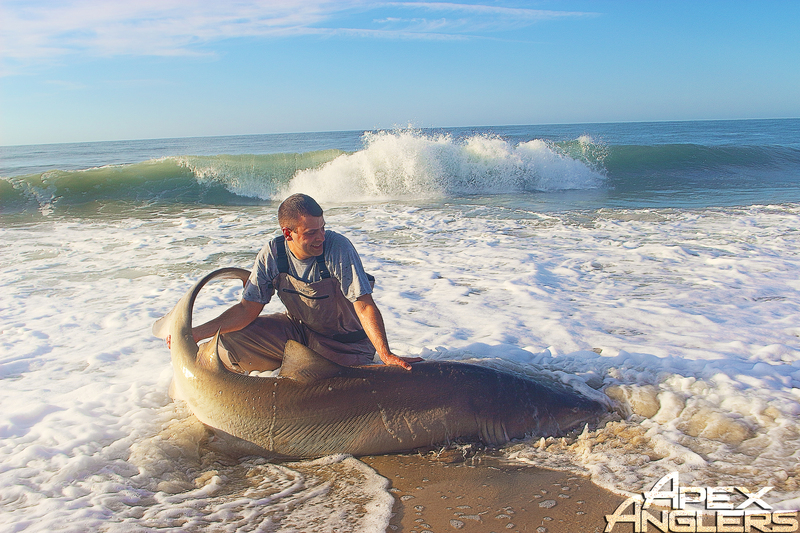 These big fish were using the massive current and huge shore break to their advantage, which was making for an incredibly difficult landing situation. We had a short lull before sunrise, but then things got even crazier from there. First light brings JT another nice run.. Sinks the hook.. and he’s on! The current had died down somewhat, and made things much easier for these next few sharks, and you will find out why that is a very good thing in just a moment. Bunker now absolutely littered the beaches, and just as a school passed by, Andrew was hooked up yet again! We suspect it is a nice Sandbar and get to work…. But not before JT gets a slow moving run, and he hooks up too! I get my line out of the way and we have ourselves a double, both being very nice fish!! Luckily Andrew had a Sandbar, so he had time to fight his shark as JT played tug of war with his first (and very respectable) Sand Tiger. 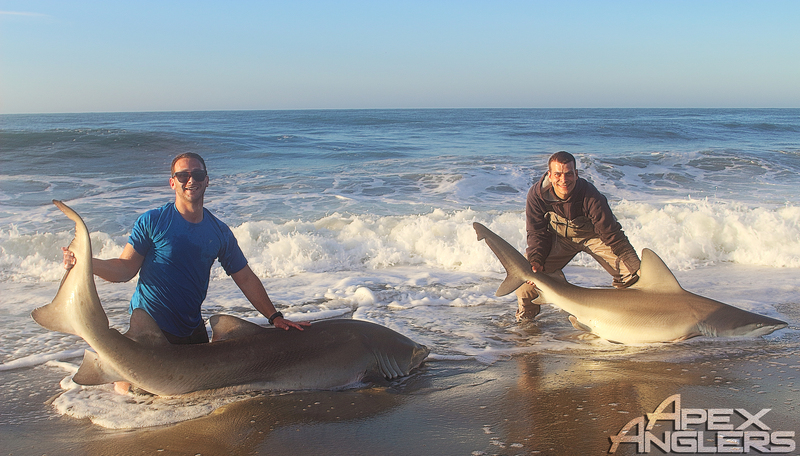 The timing could not have been more perfect for both sharks to meet on the sand! So far, JT and I both have beast Sand Tigers and big Sandbars under our belts, while Andrew has had a few Sandbars, still lacking his Sand Tiger to complete the trifecta…. But that didn’t last long…. 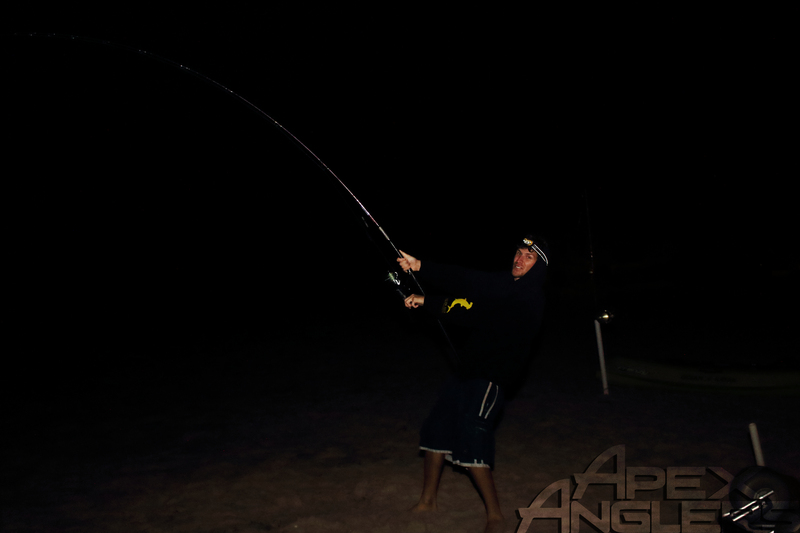 Andrew gets the run he was waiting for, and sinks the hook into a monster Sand Tiger. We wrapped up the trip considering it a MASSIVE success for the first trip. This outing resulted in FOUR personal bests, JT and Andrew beat all of their previous records for Sandbar AND Sand Tigers. All in all, I couldn’t have asked for a better season opener, this is just the beginning and it’s already epic. If this is a sign of things to come, we are in for another incredible season! Remember, dates are now filling up quickly, and once they turn red they are GONE. Get your spot, and come and get your shark!